Serving as an estate executor or administrator is often more complex than it needs to be. Usually a close friend or family member of the deceased, executors and administrators are often not sure where to start or the full range of their responsibilities. At the same time, they are mourning the loss of their loved one and may find it difficult to focus on complicated legal and financial maneuvers. An estate administration attorney in Cherry Hill at Bratton Law can help executors of wills or administrators of estates understand their role and guide them through the process. We can help prevent mistakes that could cost thousands of dollars or even lead to litigation. The members of the Bratton Law team pride ourselves on providing compassionate representation for Cherry Hill estate administrators. What Is the Role of an Estate Administrator in Cherry Hill, NJ? An estate administrator or executor of a will is responsible for managing the deceased party’s final affairs and distributing assets according to the estate plan. This is a lot of responsibility for someone who just lost a loved one and does not have experience with the legal system or accounting. The process of administering an estate requires gathering and valuating the assets, paying any final bills, calculating taxes, filing appropriate tax returns, and distributing any remaining assets as dictated in the will. 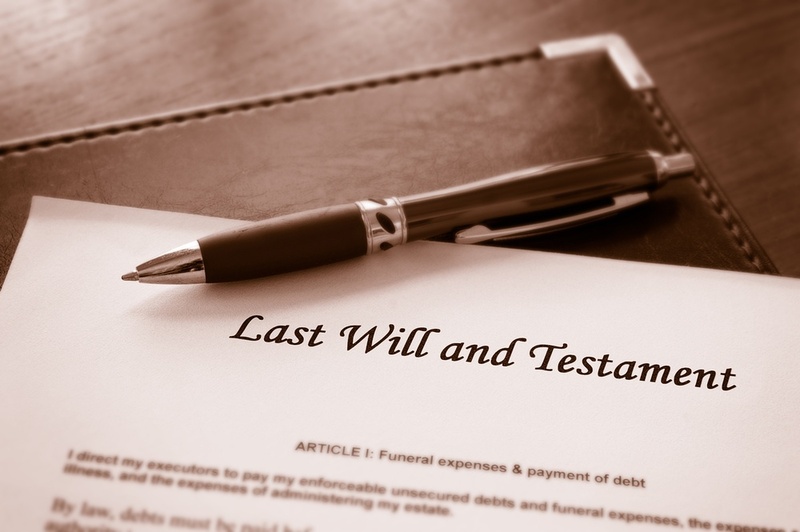 It is no surprise that many people struggle with serving as the executor of a will. They need someone who has experience with probate and estate administration to walk them through the process, connect them with the resources they need, and provide compassionate support. Our estate administration team can meet you where you are in the process, and offer the level of help you need. Sometimes, a single meeting is enough to help estate administrators get a good grasp on their duties and responsibilities. Other people need the full support of our knowledgeable estate administration and probate lawyers to guide them through the process and provide ongoing support. If you were a close friend or family member of the deceased, you might be struggling to juggle your emotions and your responsibilities as executor or administrator. Many people find they cannot focus or are “in a fog” after the death of a loved one. When you add complicated tasks, legal jargon, and financial calculations on top of this state of mind, things would get complicated for anyone. We understand your struggle and are here to help. What Do I Need to Know About New Jersey Probate Laws? Probate and administration can be one of the most confusing aspects of estate law in New Jersey. We hear many questions about probate from estate administrators, and our skilled probate attorneys are always available to help our clients navigate these tricky laws. The goal of probate is to prevent fraud and ensure the executor handles the deceased’s estate according to their wishes. There is a specific probate process you must follow. This includes a trip to Surrogate’s Court. The word “court” worries many people, but this is more of an informal office visit than the trial court you probably pictured. You will meet with the Surrogate, the person who will handle probating the will. When a will is self-proving, you will likely leave the Surrogate’s Court with a valid will and your status as executor confirmed. Then, you are ready to start the process of administering the estate. What Services Does Bratton Law Offer for NJ Estate Administrators? Bratton Law provides a full menu of estate administration and probate services. We can provide support and guidance for almost any estate-related matter. Whether you are administering a high-value estate or there are many outstanding debts, we can help you manage your role as executor or administrator. We help you understand your role and the process as a whole. Knowing you have a knowledgeable and understanding estate administration attorney on your side can reduce your anxiety and make the whole process go more smoothly. We even have on-staff social workers to provide extra support and resources to you when needed. For most people, the necessary services include advising you of your duties and walking you through the process. We also assist with accounting, valuing assets, filing appropriate tax returns, and ensuring you accurately distribute assets to the heirs named in the will. Tax implications are another important consideration when administering many estates. We can help you understand how your decisions could affect taxes on the estate or for beneficiaries. We can also help you file the necessary tax forms, understand applicable federal estate or inheritance taxes, and learn more about filing New Jersey estate or inheritance taxes. With more complex estates, you may need assistance with trusts and charitable giving included in the estate plan. We can ensure you understand how to fund any trusts, and how to transfer funds to any charitable beneficiaries. We also file the necessary notification with the New Jersey Attorney General’s Office. Occasionally, something goes wrong during the estate administration process, and the executor needs legal protection from angry or litigious heirs or those left out of the will. If this occurs, we represent you throughout the process, including in any court appearances necessary due to estate litigation. How Can I Reach an Estate Administration Attorney in Cherry Hill? Bratton Law represents will executors and others with questions about probate and estate administration in Cherry Hill. Call us today at 856-857-6007 or submit your contact information through our online form.